How do I know if I qualify to receive benefits on my former spouse’s Social Security record? your former spouse is entitled to Social Security retirement or disability benefits. How do I know if my former spouse qualifies to receive benefits on my Social Security record? you are entitled to Social Security retirement or disability benefits. Am I entitled to receive benefits on my former spouse’s Social Security record even he/she has not filed to receive his/her benefits? Yes. If your former spouse is eligible for Social Security Benefits but has not filed to receive benefits you may still receive your benefits on your former spouse’s record if you meet the eligibility requirements from Answer 1 and have been divorced from your former spouse for at least two years. What share or my former spouse’s retirement benefits may I receive? If you are 62 years old and the former spouse is eligible for benefits, although not necessarily receiving them, the maximum benefit you would receive is 50% of the benefit your former spouse would receive at full retirement age. Benefits paid to you before full retirement age of your former spouse are reduced based upon the age of your former spouse at the time benefits are paid to you. If my former spouse remarries after being married to me for 10 years, which spouse receives benefits? Benefits paid to a surviving divorced spouse will not affect the benefit rates for other beneficiaries. If I remarry can I still collect benefits from my former spouse? No, unless your later marriage ends by death, divorce or annulment. If I remarry can my former spouse still collect benefits from me? Yes, if the former spouse meets the criteria from Answer 1. If my former spouse remarries can he or she collect benefits on my record? Generally the answer is no. If your former spouse’s later marriage ends, whether by death, divorce or annulment, he/she may be able to collect benefits on your record. What if I am eligible for retirement benefits on my own? you have reached the full retirement age[i] and you are eligible for a spouse’s benefit and your own retirement benefit, you have a choice. What if my former spouse is eligible for retirement benefits on his/her own? your former spouse has reached the full retirement age and is eligible for a spouse’s benefit and his/her own retirement benefit, he/she has a choice. Can I delay my own retirement benefits and opt to only receive the benefits on the record of my former spouse? Can my former spouse delay his/her own retirement benefits and opt to only receive the benefits on my record? Yes, if your former spouse delays his/her own benefits a higher benefit may be received at a later date based on the effect of the delayed retirement credits. Does the amount of benefits I receive effect the amount of benefits my former spouse receives? No, the amount of benefits you receive effects neither the benefits your former spouse may receive nor the benefits your former spouse’s current spouse may receive. Am I eligible for benefits if my former spouse is deceased? You would not have to meet the 10 year length-of-marriage rule if you are caring for a child under age 16 or disabled who is getting benefits on the record of your former spouse. The child must be your former spouse’s natural or legally adopted child. When am I entitled to Divorced Spouse’s Insurance Benefits? you were married to the worker for at least 10 years before the date the divorce became final. [i] If the divorced spouse was born in 1937 or earlier, full retirement age is 65. If the divorced spouse was born in 1960 or later, full retirement age is 67. If the divorced spouse was born between 1938 and 1959, the full retirement age will be somewhere between 65 and 67. [ii] Social Security benefits are increased by a certain percentage (depending on date of birth) if the divorced spouse delays his/her retirement beyond full retirement age. 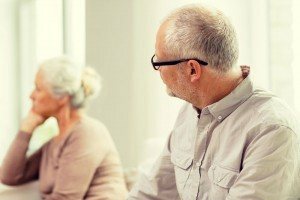 The benefit increase no longer applies when the divorced spouse reaches age 70, even if the divorced spouse continues to delay taking benefits.